With the progress of science and technology, some applications will help us to get control of the unpredictable problem that is beginning to make up more and more of our everyday problem universe. For example, sometimes you just want to record yourself reading a short story into the microphone, or you have an earnest desire to record yourself playing the piano or singing. When you come up with this kind of tough problem, and for an instant you betray uncertainty. Luckily, you could solve the problem with the greatest ease by continuing to read the entire article below, you could have derived a good deal of benefit from the useful knowledge that the article offers. Here you could view several Microphone recording software for you to choose. Online Voice Recorder is one totally free online tool that can be used to record your voice using a microphone and save it as MP3 file. The great tool also allows customizing your specified recordings like trimming your recording and doing some settings of your microphone by using standard Adobe Flash Player tools (decreasing echo and adjusting the volume). Here are the simple steps for your reference. Just click the "Change" button and there’s the pop-up window where you could adjust your microphone settings using standard Adobe Flash Player tools (decreasing echo and adjusting the volume). After that you could click the "Close" button to pop up another window and you could click the "Allow" button to start to record audios from Microphone easily. You could click the audio file that you want to record and then click on the big red "Record" button to start recording audio files, after that you could find the audios recorded in the specified folder. Acala Free Audio Recorder is also absolutely free Microphone recorder software with its user-friendly interface. 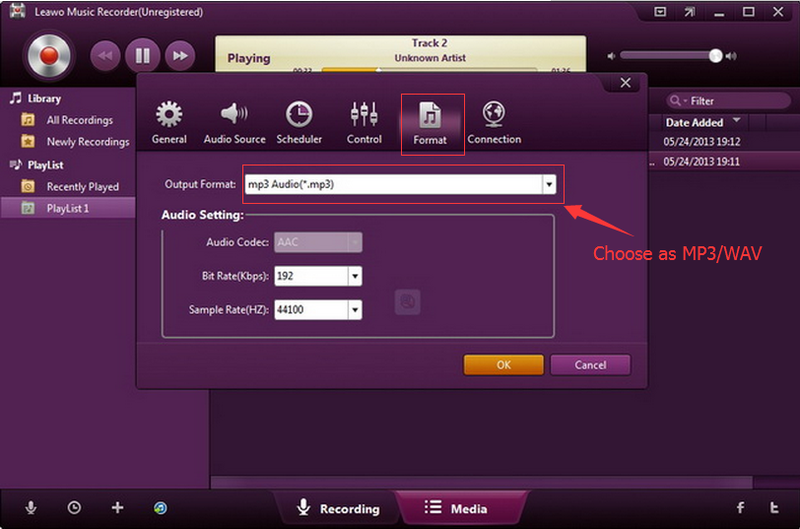 The useful program enables the user to record audio from an external source and save it as MP3 file. Meanwhile, you could easily record audios from Microphone, Walkman, CD player or Record Radio. 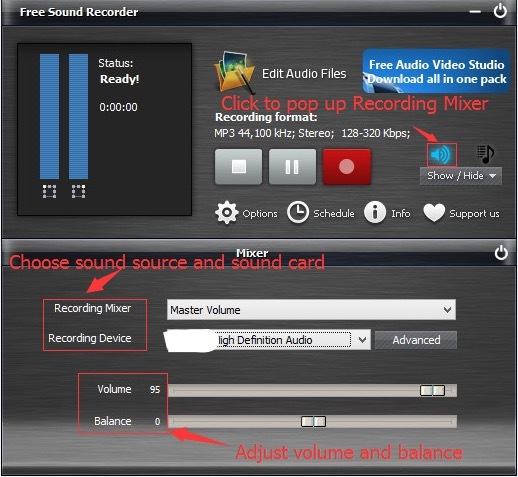 Step 1: Free download Acala Free Audio Recorder and open it on your desktop easily. 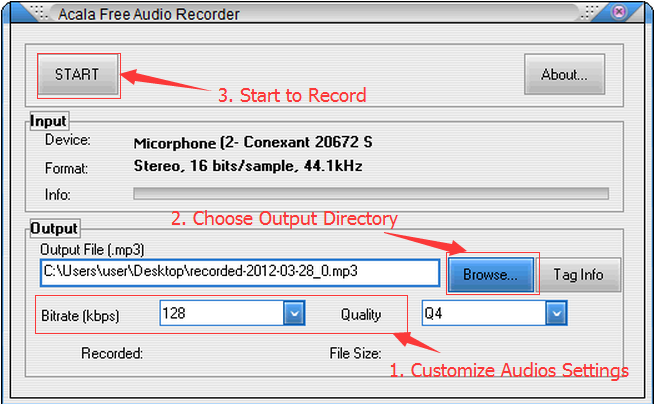 Step 2: Customize your output audios settings like Bitrate and Quality. Step 3: Click the big green "Browse" button to choose your desired out directory as you like. The software has the default output profile as MP3 file. Step 4: Click the big green "START" button in the upper left corner of the interface to start recording audios from Microphone. After the recording process is finished, you could view the recorded audios by clicking the "Browse" button. 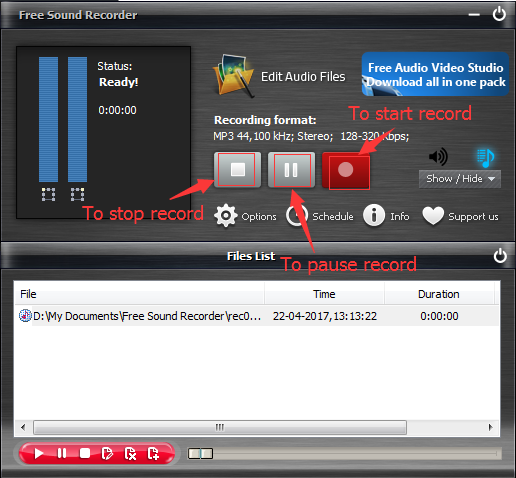 Download and launch Free Sound Recorder. You could select your desired sound source from the "Recording Mixer" dropdown list by clicking "Show mixer window" button. And then you could select the proper recording device from "Recording Device" dropdown menu. Just click the "Options" button and there’s the pop-up "Options" window where you could save the output audio as MP3, WAV, WMA and OGG file. Just click the "Change" button to choose the output folder. 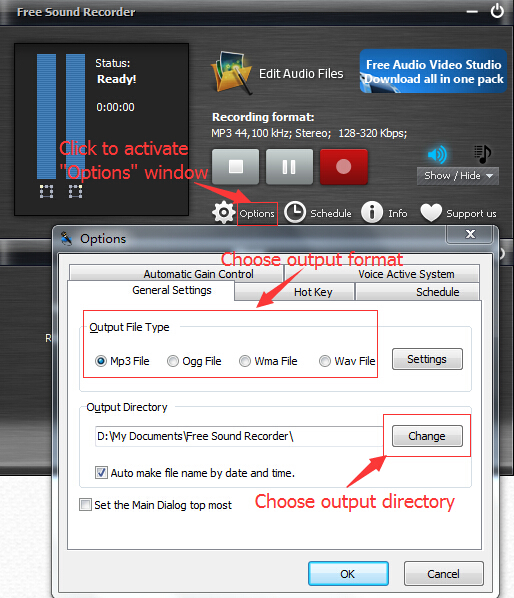 Here the software offers several options for you to choose, you could click the big red "Start recording" button to start, click the "Stop recording" button to stop and click the "Pause recording" button to pause. Leawo Music Recorder comes up with the powerful function of recording audio from Microphone, any built-in input audio, computer audio and online music sources with high quality. How to record audio from Microphone with the best microphone recording software? Before you view the instruction, you might need to download and launch the powerful Leawo Music Recorder on your desktop. 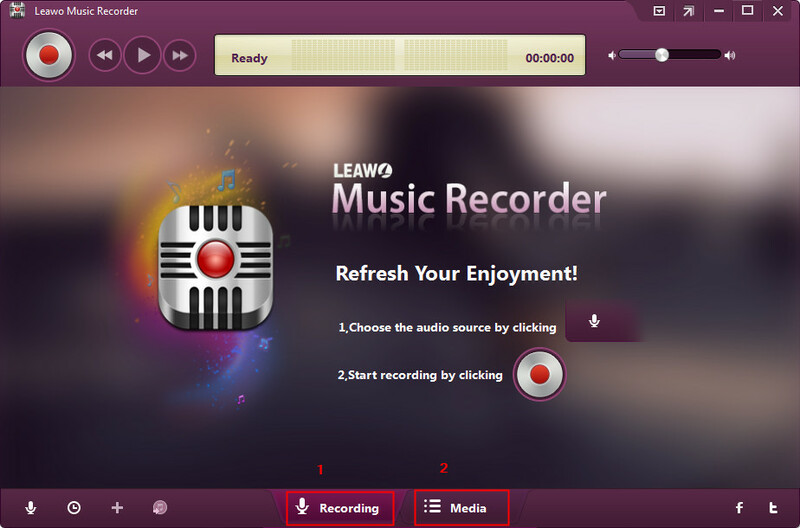 Here we would learn the steps in detail on how to record audio from website with Leawo Music Recorder. 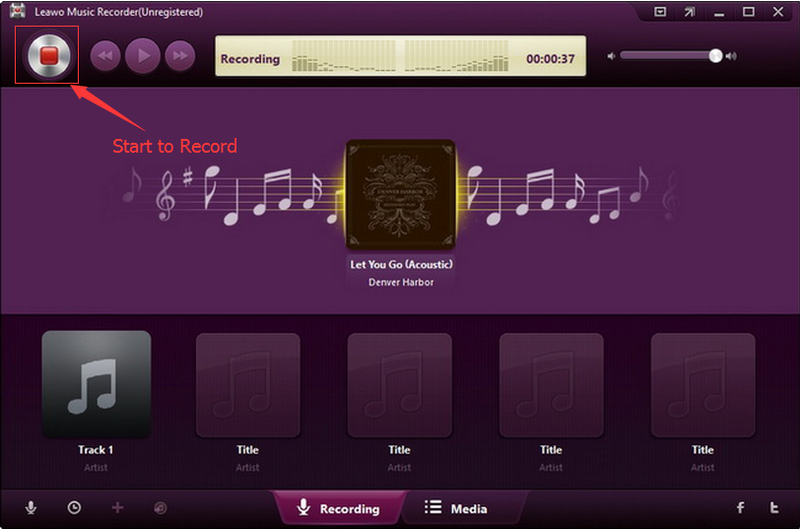 Step 1: Download and open Leawo Music Recorder on your desktop. Click the "Audio Source" button in the lower-left corner of the interface and there’s the pop-up Audio Source settings window, and then choose "Record Audio Input" if you want to record audio from Microphone. After choosing the audio source under the "Audio Source" tab, and then you could select the format (MP3 or WAV) for output recordings under the "Format" tab. You could also set the output folder under the "General" tab. 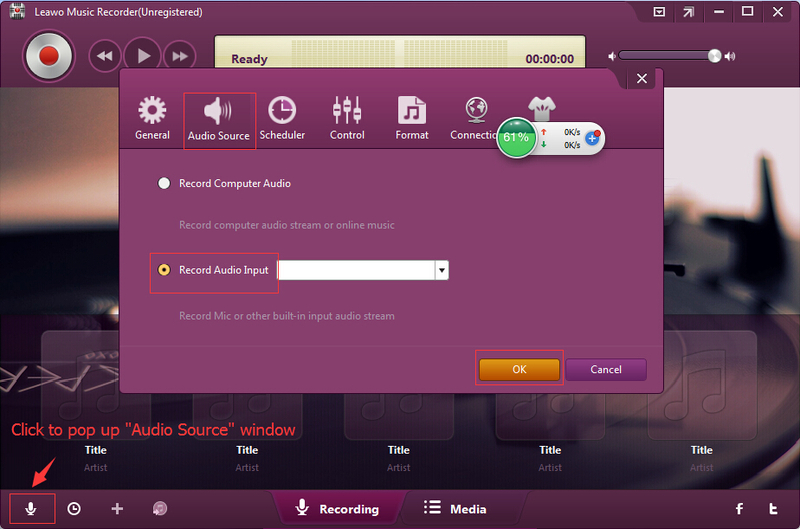 After have customized your output audios recording, you could start to record audios by clicking the big red "Record" button. The useful program could automatically download and add music tags like artist, album, title, album artwork and so on. 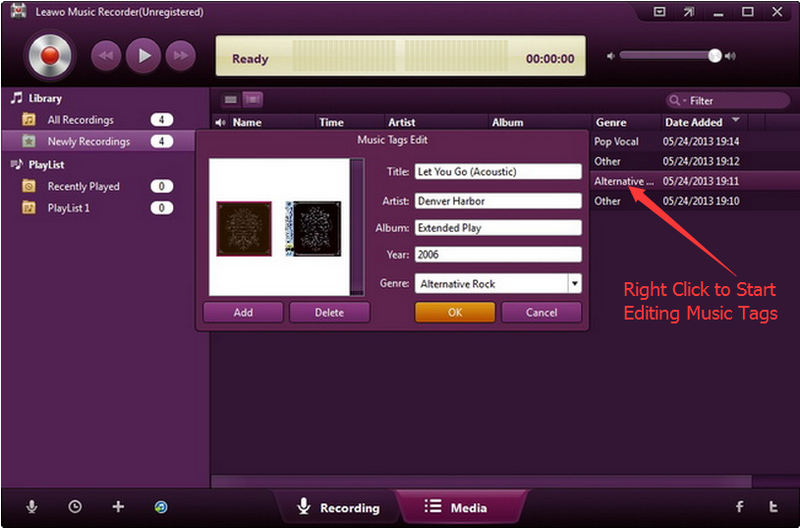 Just select the "Edit Music Tags" option to edit music tags by right clicking the selected audio file. By and large, Online Voice Recorder could only save the audios recording from Microphone as the MP3 output file, and this holds true for Acala Free Audio Recorder. Free Sound Recorder could do some very simple settings of audio recording. Unlike these three microphone recording software free, Leawo Music Recorder should be widely regarded as the best microphone recording software to record audio from microphone or other built-in input audio stream, multiple online sources. And it also allows manually editing music tags via music tag editor and sharing recorded music files to iTunes/Playlists within one simple click.